Snowdown Male Voice Choir - people. CLICK HERE FOR EQUIVALENT PAGE ON NEW WEBSITE. 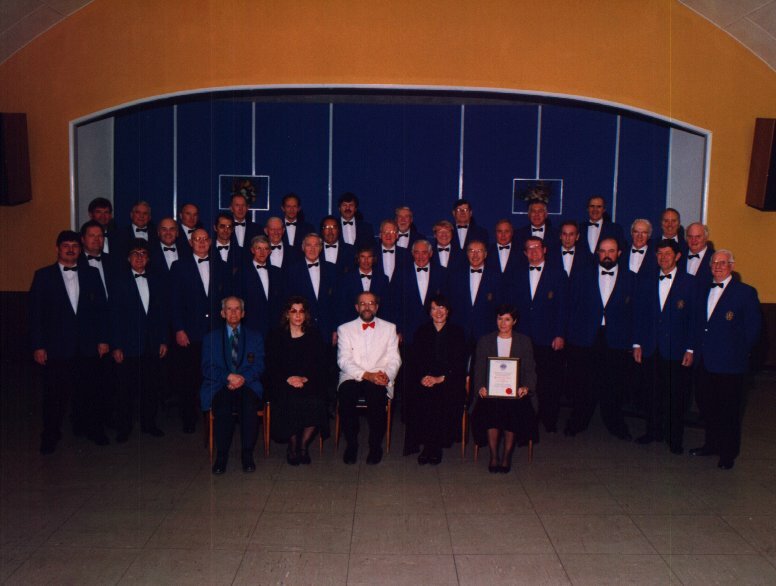 This picture shows the choir in 1998. The Director of Music Mike Lewis is in the middle. Next to him - on either side - are the two pianists, Denise Float and Aileen Dickson. 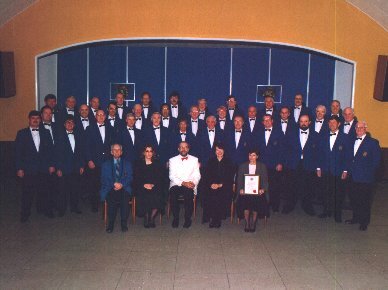 Life president, Terry Watson, who still sang with the baritones, was one of the few ex-miners left in the choir, and had worked for many years at the coal face. He was, of course, one of the longest-serving choristers. On the extreme right is one of our Vice-Presidents and a benefactress of the choir (she also happens to be the sister of a member of the choir). This page designed by J. P. Gilliver, G6JPG, of 255 software. APART FROM DELETIONS/MODIFICATIONS MAINLY DUE TO NEW WEBSITE, 2006-3-4 onwards.